Human Rights: Should we feel optimistic? Yes, according to respected human rights scholar Kathryn Sikkink. The Harvard academic will be making a robust defence of the effectiveness of human rights law and institutions in the face of an increasingly sceptical 21st century scholarship at an event at SOAS in February. Sikkink’s recently published work Evidence for Hope: Making Human Rights Work in the 21st Century charts a history of success and progression for the human rights movement and makes comparisons between past and present to show how far the movement has come. She demonstrates how instances of egregious human rights violations – such as genocides – have declined, while the percentage of the world’s population with access to education and healthcare has dramatically increased. Chairing the talk will be SOAS’s own Leslie Vinjamuri, whose chapter in the 2017 Human Rights Futures volume she co-edited, ‘Backlash’, considers the ways in which states and powerful spoilers in the international system are seeking to reverse the progress of human rights norms and institutions. Join us on the 21st to hear what promises to be a rigorous rebuttal by Sikkink to those who question whether human rights are indeed stronger than ever. ‘Evidence for Hope Making Human Rights Work in the 21st Century’ will take place at SOAS on 21 February. Please register for this free event. Kathryn Sikkink works on human rights law, international norms and institutions, transnational advocacy networks, and transitional justice. Her most recent publication is Evidence for Hope: Making Human Rights Work in the 21st Century. The work builds on Sikkink’s vast and distinguished repertoire of past publications, which include The Justice Cascade: How Human Rights Prosecutions are Changing World Politics and Mixed Signals: U.S. Human Rights Policy and Latin America. She has co-edited a volume with fellow human rights scholars Thomas Risse and Stephen Ropp and co-authored with Margaret Keck a volume, Activists Beyond Borders: Advocacy Networks in International Politics, on the role of advocacy networks in human rights activism. 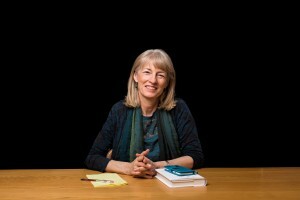 She has won numerous awards for her work including the Robert F. Kennedy Center Book Award and the WOLA/Duke University Award for Justice Cascade, and the Grawemeyer Award for Ideas for Improving World Order and the ISA Chadwick Alger Award for Best Book in the area of International Organizations along with Keck for Activists Beyond Borders.